Summer provides a much-needed break from the school-year structure for you and your children. Suddenly, September arrives, and the extreme switch in the pace of your family's life can leave you feeling frazzled. It doesn't have to be this way! During the school year, there are many tasks that need to be repeated daily or weekly, all year long. Create organized and efficient systems with specific time frames to complete these tasks. This takes the lastminute frenzy and fear of forgetting completely out of the equation. If you plan to make your child's lunch every day, try scheduling this task as the last thing you do before you go to bed each night. Commit yourself to this routine, and soon it will become a habit. Organize everything you need to complete this task by designating one corner in a cabinet for all lunch-making supplies: containers, groceries, and notewriting materials. Save a corner in the fridge for all lunch-related perishables. Now, right before you go to bed, you'll automatically know what you need to accomplish and how to do so without a second thought. Apply the same principles of systematizing and organizing as described above to tasks for which the kids are responsible. Inviting your children to co-create systems they'll use gives them a sense of ownership and signals your respect for their growing decision-making abilities. 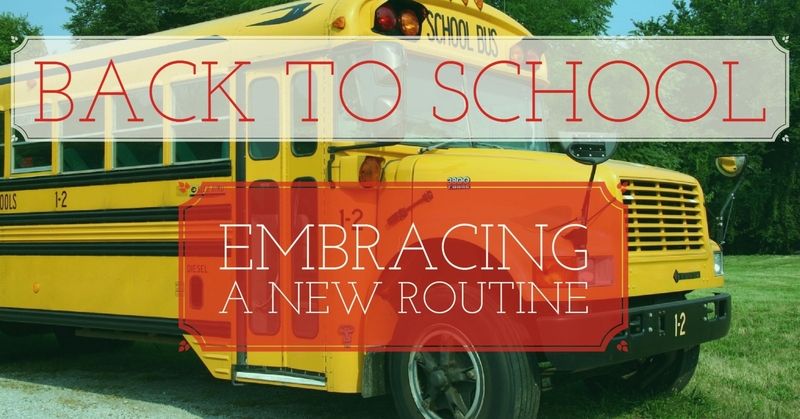 For younger children, pick a simple task such as deciding what to wear to school. Work with your children to designate a time to choose each part of their outfit, and lay the clothes out together before bedtime. Ask older children what time of day they might like to work on their homework on a regular basis. Help choose a homework area that's quiet and available to them at that time. Before the school year begins, create a family calendar with upcoming events. Sports activities, holidays, birthdays, dances, parent-teacher conferences, and plays are always mapped out by the school well before the start of the semester. If you have an active awareness of what the next month or season brings, you can prepare your family to forgo frantic scrambling. And with a solid overview of the ebb and flow of the calendar, you can fit in extras — like doctor appointments and vacations — even during busy periods. For example, if you know October is a particularly hectic extracurricular activity month, and you're also aware that your child needs a physical, you can go ahead and schedule the physical for November, when the calendar is less packed.